In 1997, a gallon of gasoline was $1.22, Madeleine Albright was selected as the first female Secretary of State and the No. 1 song was Elton John’s “Candle in the Wind” following the death of Princess Diana. 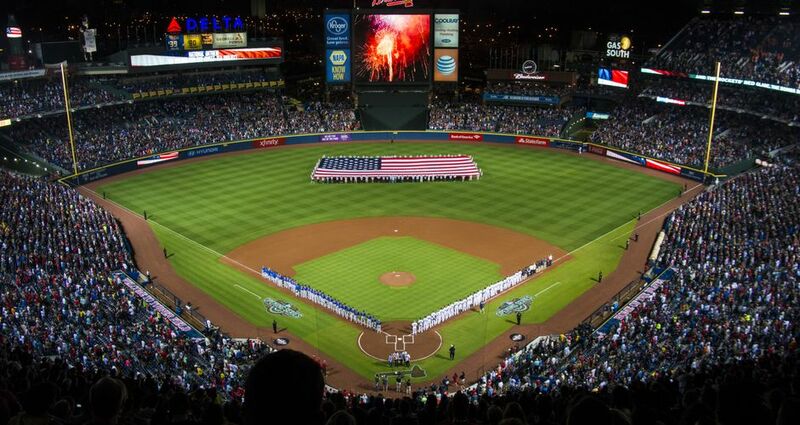 On April 4 of that year, 50,096 fans watched the first pitch thrown at Turner Field. Then Braves owner Ted Turner threw the ceremonial first pitch as the Atlanta Braves defeated the Chicago Cubs 5-4. Nineteen years later, on April 4, 2016, the final opening day pitch will be thrown at Turner Field as the Braves will move to their new home, SunTrust Park, for the 2017 season. Affectionately dubbed by fans as “The Ted,” Turner Field’s final season will mark the end of a historic run for the Braves and for the city of Atlanta. The “Home of the Braves” was originally constructed as Olympic Stadium as part of the track and field complex during the 1996 Centennial Olympic Games. After the closing of the games, the stadium was retrofitted into a baseball-only, natural-grass facility for the grand opening of Turner Field in 1997. Fans will have 81 home games left to tomahawk chop the Braves to victory and sing “Take Me Out to the Ballgame” at Turner Field. A countdown ceremony will take place during the fifth inning of every home game, where a special guest will remove that game’s number. Braves alumni, celebrities and fans will be included as countdown guests to represent all facets of Braves Country, leading up to the final regular season game on Sunday, Oct. 2. “It has been a wonderful home to us for the last two decades, and we look forward to paying tribute to it all season long,” said Zimmerman.